The Gaslight Anthem aren’t one of those bands who constantly need to alter their sound massively in order to stay relevant. They probably never will be, but frontman Brian Fallon’s interviews during the build-up to the bands fifth studio album Get Hurt suggested that the band were branching out, trying some extensive new things and exploring their sound. For a band who’ve evolved and matured with each release it’s understandable, and listening to Get Hurt it’s clear that it’s another development for the New Jersey four-piece, but the more you listen to it the more Fallon’s claims of ‘completely different’ become hyperbolic. Get Hurt sounds more like the next chapter in the bands discography, picking up where 2012’s Handwritten left off, as opposed to the start of a new book entirely. Ultimately, it’s the previous chapters in the bands impressive discography that highlight the issues on Get Hurt, of which there are an unfortunate few. If you’ve spent a fair amount of time immersed in The Gaslight Anthem’s past works then it should become clear after a few listens that, despite being a solid rock record, Get Hurt doesn’t quite deliver in the same way as The Gaslight Anthem normally do. There aren’t as many ‘big’ moments, neither is there a whole lot that stands out a great deal, and it’s a shame, because if Get Hurt had been released by any other band, or at least any other band who weren’t on a similar level to The Gaslight Anthem it’d have all the hallmarks of a classic release. As a Gaslight record though, it doesn’t quite cut it, and it certainly isn’t the intriguing shift in dynamic that Fallon hinted at pre-release. The band have undoubtedly grown here, but in doing so they’ve lost some of the energy and spirit which breathed life into most of their music which preceded Get Hurt. That trademark Gaslight fire is still there, but it isn’t a bonfire anymore. Songs like Stay Vicious, Rollin’ and Tumblin’ and Dark Places stoke it, but the band struggle to reach their usual heights, although you get the sense that they aren’t always aspiring to. Get Hurt is a more reserved affair, and it’s perhaps because the band are trying to really establish their own identity instead of borrowing so heavily on those of the artists Fallon grew up listening to. It’s an odd criticism, and it’s often very harsh to complain about a band growing as musicians, but Get Hurt suffers because of this more mature approach – as commendable as it may be. 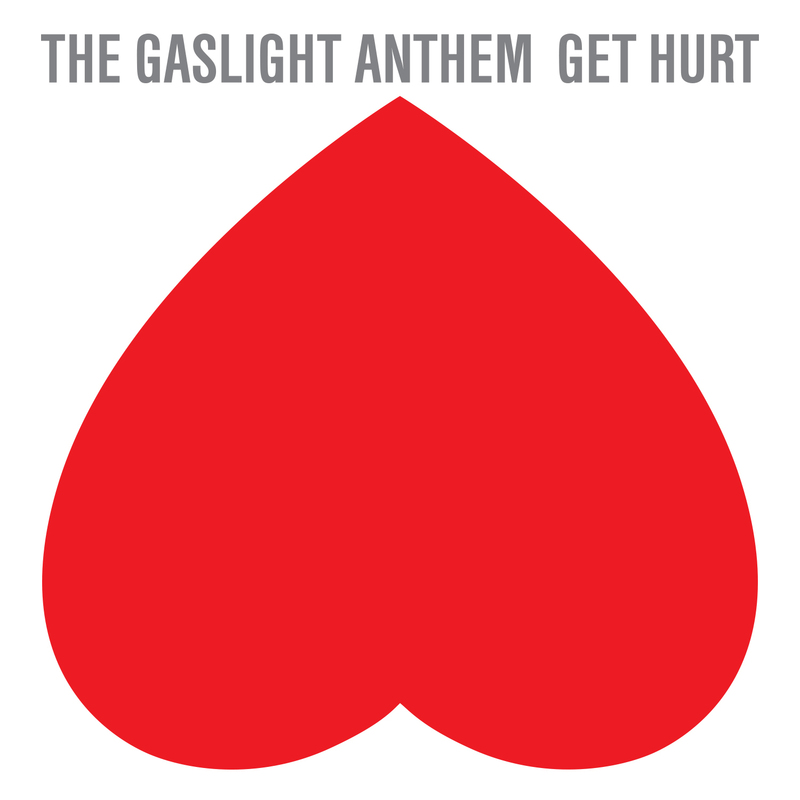 In a way, this is the boldest The Gaslight Anthem have ever sounded; Get Hurt wears its heart on its sleeve, but for all of its good intentions and attempts to move in a new direction it treads familiar ground in a less familiar and more forgettable way. Opener Stay Vicious is certainly an instant sign of intent at something bigger, kicking the record into spirited life with a powerful guitar riff which undoubtedly leads the ‘heaviest’ moment on the album. In the same way that Against Me! surprised with Osama Bin Laden As The Crucified Christ earlier in the year The Gaslight Anthem do the same, and it’s a shame that the rest of Get Hurt fails to match the aggression and energy of the openers instrumentation, which eventually relents to modest, twinkling guitars. Following track 1,000 Years, amongst other following tracks, sounds decidedly tame in comparison; it stomps gently, perking up for a shining chorus and gathering speed as it tries for a big finish. It showcases a calmer, more focused approach to songwriting which feels like an improvement on Handwritten territory, although there’s a few songs on Get Hurt which hark back to an American Slang feel, and these tend to be the songs which are more traditional of The Gaslight Anthem. There’s generally less experimentation in these sharper songs, which lack the organs and keys of others, with fifth track and electric highlight Helter Skeleton being one of them, charged and bouncing with infectious energy, packed with the hooks you’ve come to expect from the band – absolute dynamite. With this track it seems like The Gaslight Anthem are back to their best, or at least what I personally perceive to be their best, but just as Get Hurt seems to be picking up momentum it leads into the dark, brooding Underneath The Ground, which is an abrupt change in pace. At times, it feels as if the tracklist could do with a shuffle, with the creeping, disjointed sixth track falling between arguably two of the fastest tracks on the record, Rollin’ and Tumblin’ following it, and, along with the awkward transitions between Stray Paper, Helter Skeleton and Underneath The Ground it pulls you out of the experience halfway through, if only for a second or two. There isn’t a single bad song on Get Hurt, which is worth stressing. The Gaslight Anthem rarely (if ever) put out a bad song, but neither is there a great deal of truly exceptional selections, which isn’t necessarily a consequence of the bands ‘new’ direction. In truth, Get Hurt is the best thing they’ve done in some regards. Instrumentally the band have never been better, there’s some nice touches here, as well as some unnecessary ones there, and drummer Benny Horowitz definitely gives his best performance to date. Fallon’s lyrics have evolved also, and on Get Hurt he embraces the heartache or past releases and acknowledges it instead of spinning sympathy-encouraging songs. On the title track he sings ‘I came to get hurt, might as well do your worst to me’ after the first verse finds him spending his nights ‘in dislocation, talking to spirits on the floor‘, and Fallon sounds much more self-aware of his pain, and often finds an outlet in it, a healthier one that he’s used in the past. Rollin’ And Tumblin’ still has that very American feel to it lyrically, referencing the great depression alongside memorable lines like ‘Baby I was born on the Fourth Of July, exploding like a firework‘, and as a whole Get Hurt is a joy to listen to and explore lyrically, and Fallon remains one of the most compelling and engaging frontmen in the scene, and The Gaslight Anthem are still one of the best bands in that same scene. There are songs on here, Selected Poems primarily, which are some of the best the band have released, with the highlighted track seeming like an amalgamation of everything they’ve done so far, immaculate lyrically whilst displaying brilliantly the softer and rockier sides of their music, beginning with a haunting forty seconds or so and then bursting forward as Fallon really pushes himself as the rest of the band display a stunning sort of cohesion. Everything falls together, and as Fallon sings ‘All I find is that nothing seems the same’ during one of the records best choruses it sounds as if the band have found what they seem to be searching for throughout their fifth record, and they really capture it here after swinging for it, and missing, elsewhere. It wouldn’t be a Gaslight record without a heartfelt, smouldering, stripped back song, and Break Your Heart fills the quota on their fifth full-length outing. It’s a vulnerable slow-burner as Fallon narrates to an off-stage his own humanity, and although it doesn’t quite compare to the likes of National Anthem, Here’s Looking At You Kid or even The Navesink Banks going back even further, it’s still a great song despite not being the band’s best; it’s sentimental and affecting, a fitting penultimate track which could have easily seen out the record if not for emphatic twelfth track Dark Places. The closer sounds like a throwback, it’s very reminiscent of The Backseat, which closed The ’59 Sound, an anthemic track which glows, brilliant once it kicks in, fuzzy guitars and shouted, passionate vocals. It’s anything but forgettable, a warm sort of nostalgia, rife with spirit, and as was the case with the opener it’s a shame there aren’t more tracks like it featured. The deluxe edition of Get Hurt features four bonus tracks, the first two of which carry a very American, retro feel to them as vocals echo and harmonicas chime. Both Sweet Morphine and Mama’s Boys don’t leave a huge impression, although the former is great lyrically, and they both sound like B-sides – not quite afterthoughts. The other two tracks on the deluxe edition offer much more, the first of which is Halloween, a song I expected to feature on the bands recent B-sides & rarities collection. Although it might be familiar with fans it’s great to see it feature, although it’s overshadowed by Have Mercy, which perhaps should’ve featured on the standard version of the album. It’s great, and like Halloween it features some gorgeous complementing female vocals, this time over an atmospheric, minimally layered backdrop as Fallon’s gruff vocals croon. The Gaslight Anthem have a frustrating habit of restricting excellent songs like this one to deluxe versions, and it seems unfair that fewer people will hear it because of its placement. Get Hurt is the first record by The Gaslight Anthem which I haven’t immediately fallen in love with, and it’d been damned somewhat before I even pressed play by my own high expectations, and perhaps even by Fallon’s misleading words pre-release. It’s far from disappointing, and with each listen it continues to grow on me, but it still feels underwhelming. I remember a conversation I had with a friend a few months back in regards to how we’d rank The Gaslight Anthem’s records in terms in terms of preference, and as I always do I ranked The ’59 Sound first – it’s my favourite album full stop. After listening to Get Hurt I’d need two lists, one including everything before Handwritten, and one for everything from there onwards. The band’s first three records can be grouped together easily enough, but with Get Hurt they continue to build upon the more mature foundation they laid down with Handwritten, and the extent to which you enjoy this record will very much depend on which side of the band’s discography (splitting it in two like I have) you lean towards. If you’re a new listener, or a long-time listener who prefers Handwritten you’ll likely love Get Hurt, it’s a calmer, more thoughtful variation on that release, but if you’re still living more so in the past, like myself, you might want more from the bands fifth LP. Get Hurt is very good, but there seems to be something holding it back, a spark which is lacking, and it’s a struggle to move past that feeling once you’ve acknowledged it.